If you are looking for something out of the ordinary, this ring has a modern design. Different from the usual engagement ring but as impressive and stunning. 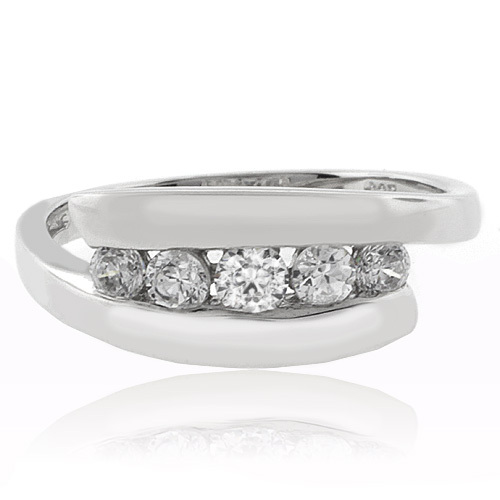 This ring features 5 brilliant round simulated diamonds on a delicate .925 silver band.